This is the latest Baby Woodrose album and Lorenzo has returned to his roots (and a more raw sound) and recorded most of the instruments by himself and also chosen another studio to work in. I had heard that the record was much more mainstream but that is not my take on it. It starts off with what is perhaps the best track on the record, Fortune Teller. This is a really catchy psych rocker and a great song. The opening guitar riff will sound familiar as this is classic BW. The chorus will remind you of some of the Setting Son stuff with the falsetto voice. I like the psych section at the end. Heinz contributes some organ on this track as well as 3 others. Take It is really old school garage rock sound and all over in 2 minutes. Open up your Heart is the first of the relationship songs, some of which were perhaps inspired by his recent relationships and breakups. You will have to ask Lorenzo. Emily starts with some vocal choirs and then the acoustic guitar, harmonica (played by Henrik Hall) and is very inspired by Arthur Lee and LOVE. Laughing Stock starts with Lorenzo’s old school drum machine and has a heavy distorted sound and a dark feel. This is a cool track and the most unique song on the record. Countdown to Breakdown (one of the longest tracks at nearly 4 minutes) is next, another mostly acoustic track. Lorenzo plays some nice bass lines in this track which parts of reminds me of When love comes Down. Lorenzo plays a nice but too short psychy guitar solo half way through. Changes Everywhere is a spacey acoustic track, again reminding me a lot of Arthur Lee. Hollow Groove another acoustic track but a bit more uptempo and a very catchy groove and song. I really like this one. No Mas is another hard edged track and pretty raw stuff in this two minute blast of rock and roll. Mikita is a short acoustic love song. Scorpio is a 12 string guitar piece that starts off a bit like Dragontears version of Dylan’s Masters of War but takes on it’s own life and is a beautiful and emotional song. 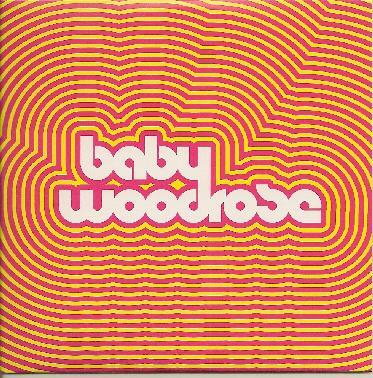 Secret of the Twisted Flower ends this new Baby Woodrose album and this is the most psychedelic track on the record with a cool eastern guitar, spacey vocals and a deep sound. Now you know. Cool record and I would expect nothing less from master Lorenzo.